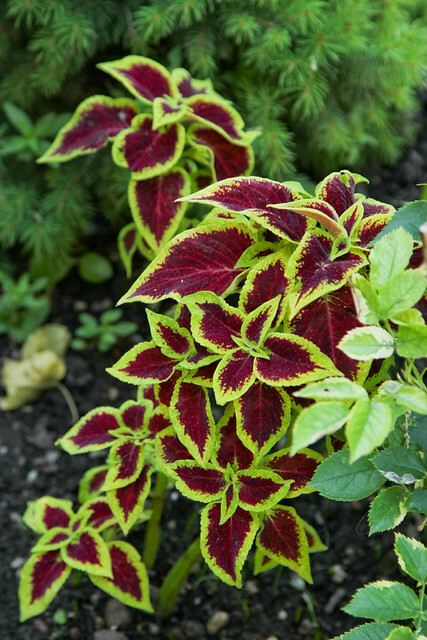 I love love love coleus for color in the garden. They are so vibrant and striking, and because the color isn't coming from a flower, but from foilage, it lasts and lasts and lasts. Makes me happy.